Project management and productivity tracking. Is there a better alternative to Desktime? 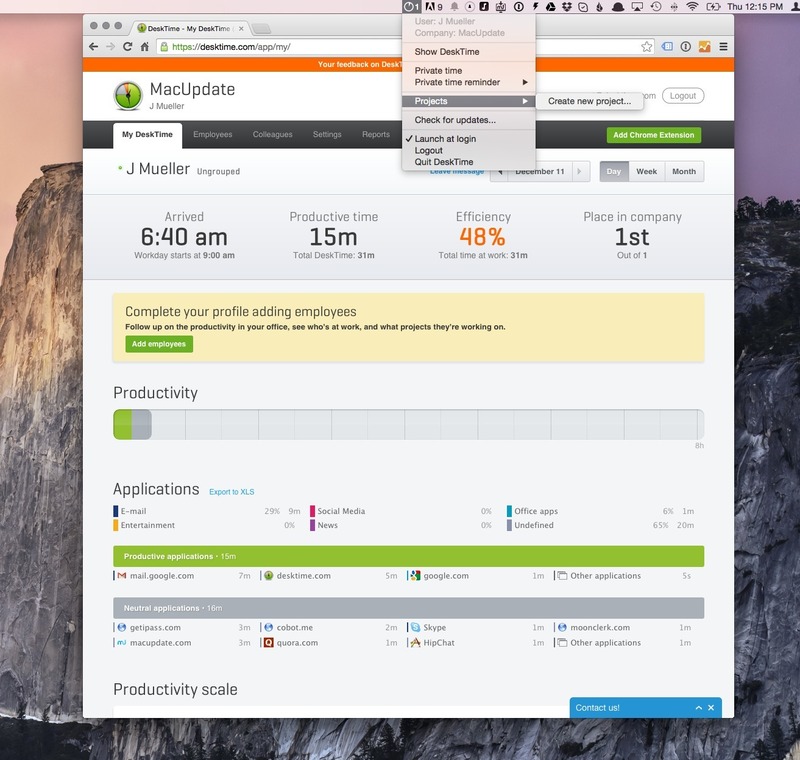 Is Desktime really the best app in Productivity category? Will Desktime work good on macOS 10.13.4? DeskTime is a real-time automatic time tracking software that tracks and analyzes your productivity by sorting the different applications that you or our employees use into the categories "productive", "unproductive" or "neutral". It runs quietly and unobtrusively in the background, requiring no user input. You can try Desktime out for free for 30-days. Then it's $9/mo per employee.